Item # 319134 Stash Points: 5,995 (?) This is the number of points you get in The Zumiez Stash for purchasing this item. Stash points are redeemable for exclusive rewards only available to Zumiez Stash members. To redeem your points check out the rewards catalog on thestash.zumiez.com. 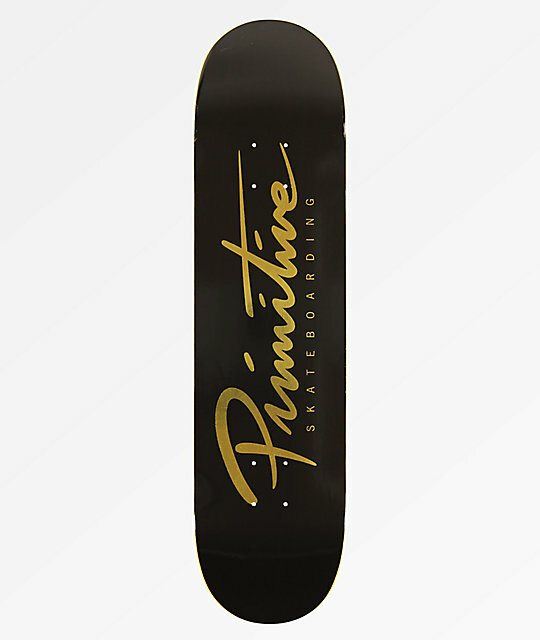 Get yourself setup with the latest from Primitive and grab their new Nuevo Black and Gold 8.0" Skateboard Deck. This traditional popsicle shaped board features the brand's signature "Nuevo" logo script across the underside in a regal gold color scheme; a wonderful contrast to the board's overall black colorway. 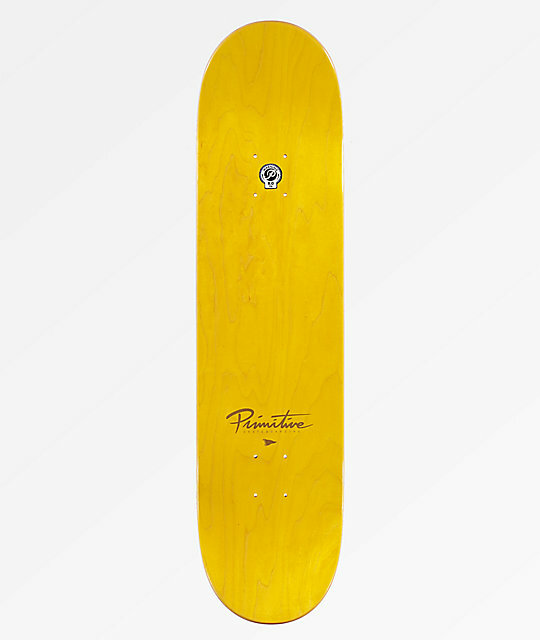 Nuevo Black and Gold 8.0" Skateboard Deck from Primitive. Classic popsicle shaped deck with mellow kicktail. Mellow concave and slight wheel wells. Note: Grip tape not applied to the deck. Note: Components such as trucks, bearings and wheels sold separately.